It's been a long while since I last managed to find the time to go to Macaroni Market in Itaewon, today I managed to sneak in for lunch expecting a dose of their delightful mac and cheese... but was met with an altogether different menu. 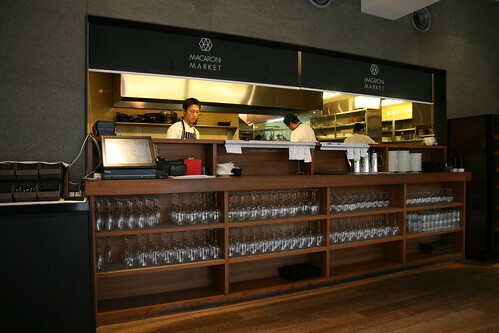 The owners are still the same, but the chefs at the Market are all new, with Leo Kang (trained under Gordon Ramsey) leading the charge. They have switched into brasserie mode, lowered their prices (a little), offer a selection of reasonably priced wines (by the glass, half bottle and bottle) and have lunch and dinner fixed price menus, as well as a wide a la carte selection. Before I talk about the food I feel I must mention that I'm on good terms with the owner/manager and he's always happy to talk to me about his restaurant. He was also kind enough to give me a glass of wine and 10% off the bill. So take my ramblings with a pinch of salt if you must, but I'll do my best to be fair and honest about today's lunch. There are two lunch menus on offer: 18,000 won for soup/salad, pasta/sandwich of the day, dessert and 23,000 won for soup/salad, meat/fish of the day, dessert. I decided to go for the onion soup and linguine with chicken and artichokes in a cream sauce. 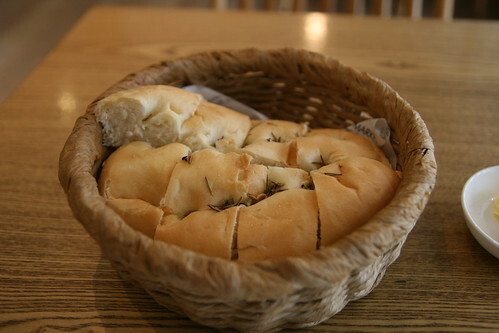 To start, the complimentary bread basket. Good texture, a little soft on the outside, but not a bad little loaf. Greatly enhanced by the normal and anchovy butter provided. 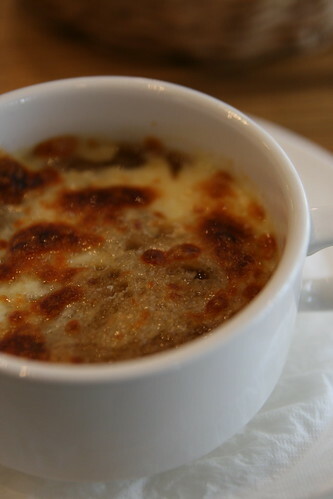 Next up, a French classic: Onion soup topped with a crouton and emmental cheese. Stick to the ribs hearty fare perfect for a winter lunchtime starter. For some reason my first mouthful contained what tasted like a whole peppercorn, but the rest of the soup was unaffected and helped remove the chill from my bones. The linguine followed, the combination of tender bite sized pieces of chicken with the soft artichoke was a real winner. The pasta was very lightly dressed with the cream sauce, a good example to some of the hideous restaurants where your spaghetti is left to drown in a half litre of cream. 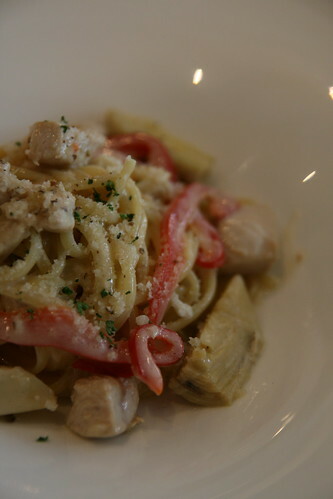 A very pleasant pasta dish. And to finish... 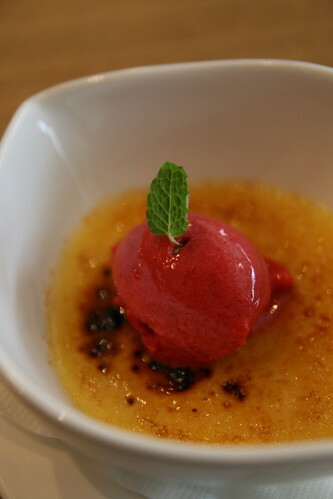 Vanilla crème brûlée with raspberry sorbet. Certainly the star of the meal, this cute little burnt custard was slick with vanilla seeds and complimented beautifully by the scoop of sorbet on top. 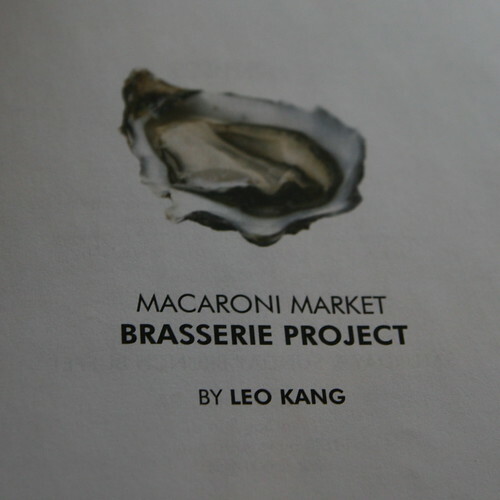 To find more on Macaroni Market take a look here, here or here. You can visit their website here or give them a call on 02 749 9181.